I like to trust! It is a conscious choice I have made. I have decided I’d rather trust than be skeptical and overdo thinking. 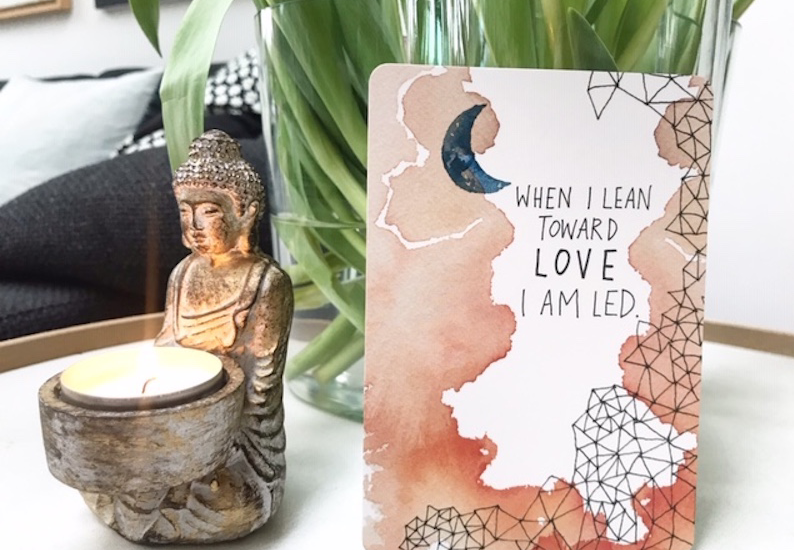 Taking inspiration from the bestselling spiritual author Gabrielle Bernstein, I see trust as leaning toward love instead of fear. The word trust has come more into my daily language in the past few months, both in the internal dialogue I have in my head and the way I speak with people. And it is officially now (haha) my word for 2019! I want to come back to it again and again, it is going to guide me through this year. Once you start giving trust to the various areas of your life, notice how light life becomes! It is as though you take a burden off your mind, you stop it from going in all sorts of directions and over-analysing. You can allow yourself to relax and trust instead. I think it is a very active and brave decision to make. You get in touch with your intuition and awareness on a deeper level as your thinking mind doesn’t need to do all the work. And by trusting more you will avoid that your mind makes you act out of fear, which it is expert at doing. I believe trusting will allow for more presence and awareness in your life. It is a fun process, especially when you find that it helps bring more joy and laughter into your day. Here we go: Trust that your body wants to be well. If there is pain or illness, trust that your body is doing its best to help you. Trust that you are at the right place at the right time. Trust life! Trust that there is something somewhere looking out for you. Trust that your children will come home safely. Trust that your family and friends want the best for you. Trust that you are loved. Trust that people around you care about you. Trust your gut feeling about something/someone. Even when it goes against what other people say. Trust that if you arrive late it will still be fine. Trust that it is okay to express how you feel. Trust you can let go of control more often. If something unkind is said to you, trust that it is not you, it is more likely the other person having a bad day. Trust your breath. Your breath would never lie to you, so trust what it is telling you. Trust that sometimes challenging situations come up again and again because life wants you to understand something important before you can move on. Trust that your experiences are meant to help you evolve. Trust that you are safe. Trust that it’s alright to trust more often. It is so freeing to trust, trust you can go for it if you want.